Patch 8.1 - Tides of Vengeance - will be released in the EU on the 12th December. The associated raid WILL NOT be released at the same time, but will arrive early 2019. 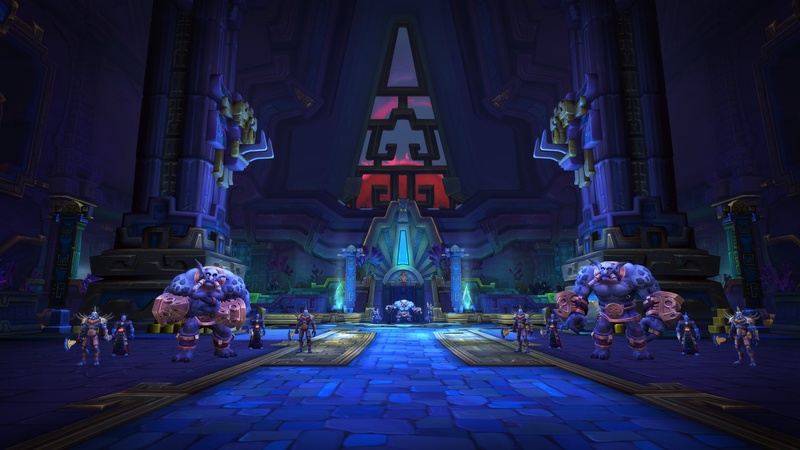 Patch 8.1 will include: new Warfront (Battle for Darkshore); Horde and Alliance Assaults; new Island Expeditions; various updates to Azerite Armour, Emmisary rewards, Alt rep gains, war mode bonuses, dubloon vendor and more. Patch 8.1.5 will include two more allied races .. Zandalari Trolls and Kul Tiran humans; "remastering" of Arathi Basin and Warsong Gulch, WoD Timewalking; Portal rooms in Orgrimmar and Stormwind (finally!! ); professions questlines and special abilities; Brawlers Guild returns; Arathi Basin AI "PvP". Patch 8.2 - Rise of Azshara - new zones; new 8 boss raid; new Island Expeditions, FLYING! !, Heroic warfronts and more. Classic WoW free for everyone with a live WoW subscription - due to be released summer 2019. See all the news on Wowhead.